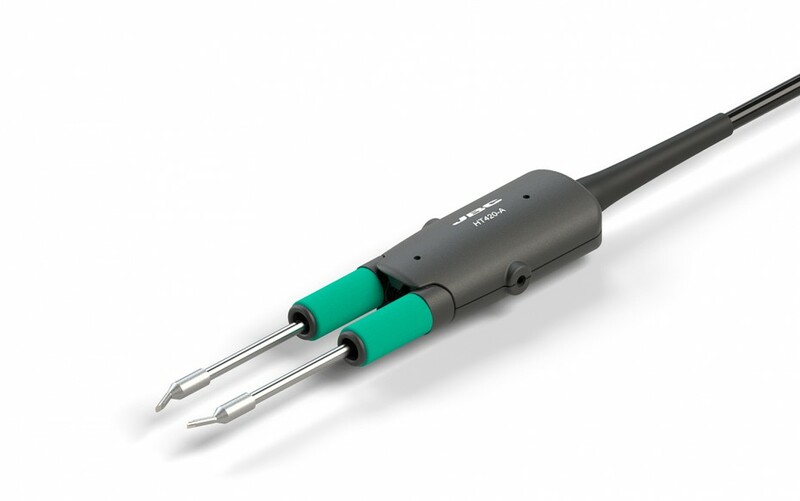 The JBC Thermal Tweezers are designed for soldering and desoldering SMD components easily, reducing handling time. HT works with two cartridges managed individually by the control unit to ensure the maximum accuracy and a quick temperature recovery. Each one can provide up to 80W if it is required. Ergonomics ensure greater accuracy and comfort at work. HT enables to align the cartridges according to the needs in order to adapt them to the component. It works with C420 range of cartridges which includes different shapes and sizes for chip components applications such as QFP, PLCC, SOIC, etc. It is also available a cable stripper.